Recently, I took a road trip with my 34-year-old daughter. I was amazed—though I shouldn’t have been—at how many hours she spent in social networking. During the day she texted non-stop, or would have if I hadn’t taken her phone away when she was driving. And at night, in our hotel room, she chatted with her friends on Facebook. First she would type madly for a few minutes, then sit back and wait. When the tone that indicated someone responded sounded, she would lean forward, read for a moment, then type madly again. I was reminded of Billy Crystal’s line about dancing—that it was just like standing still, only faster. This was like a conversation, only slower. I’ve been thinking a lot about social networking as I get ready to teach a workshop on how social networking can augment a nonprofit’s existing fundraising programs. The power of social networking is clear; it is the time consumption that concerns me. I remember when word processing became ubiquitous. We all thought that it would make our offices more efficient. At first, of course, it didn’t, but there was the learning curve and it was sure to come. Then, one day I asked my secretary to prepare a memo for me to send to my boss. In the old, typewriter days, it would have taken less than an hour before a clean, typed copy was on my desk. Well, no. There wasn’t. And yet, yes, there definitely was. She was “formatting” the memo—playing with fonts and sizes and styles. She could bold,, italicize, underline, and a whole host of other things that she had been unable to do before. It was awesome. But here’s the dirty truth—it wasn’t better, it didn’t add value, my memo wasn’t more effective. I don’t want to sound like a neo-Luddite. I’m not. I love my computers—and yes, that’s a plural, I have two. I love the things I can do that I couldn’t do when I started working. I love the possibilities that technology brings. My husband swears I love my iPhone almost as much as I love him. But I don’t love inefficiencies and I abhor spending work time unproductively. A recent study surmised that for a nonprofit to effectively use social networking for development purposes it would take 20 hours a week. Now, that’s just the managing of the technology. It will take additional time to develop the strategies, create the content, and evaluate the successes of your social networking programs. 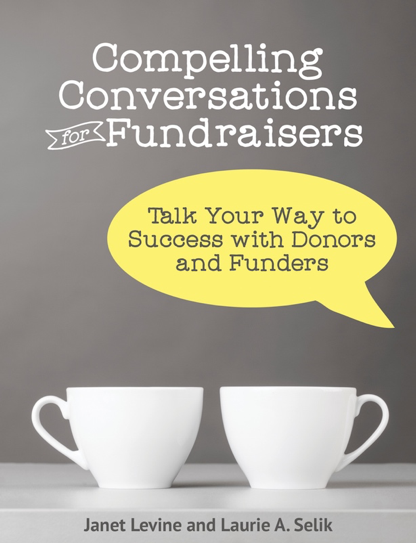 If you are a small nonprofit where you are already too busy to fundraise or do anything else, you will really have to think long and hard about jumping on this particular bandwagon. I don’t think that nonprofits can afford to ignore technological advances. I do think that social networking must be part of their advancement program. But these are techniques and channels that must be used judiciously and with planning aforethought. You will not raise tons of money solely by putting a “Donate Here” button on your website. Developing a Facebook page will not bring wealthy donors ripe for solicitations. Your Tweets may get you a Twitter following, but if you are not clear about the purposes for which you are using these tools, you will build nothing worthwhile. These are tools that, used well, can help you to reach more people. Used well, they will allow you to build relationships that might otherwise not be possible. And fundraising is, above all, about relationships. But there is a price to be paid. The wise nonprofit understands that and makes sure that before starting out on this journey, they have carefully mapped out what seems to be the best route, and have an understanding of what side roads could be interesting to explore. This entry was posted in development, fundraising, social networking, time management. Bookmark the permalink. Social networking is also blurring the boundary between our professional and personal lives. Just like e-mail and cell phones, social networking has a way of creating work-life imbalance. What are the implications of having my current and former supervisors, coworkers, and colleagues in my friend list along with actual friends and family? Not just for me but for the organization, for our profession, for our culture?